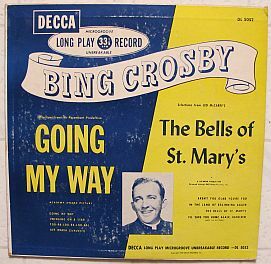 Here is an album by Bing Crosby from the movie "Going My Way". Condition is in good condition with only minor surface scuff marks and scratches. The center hole is in good condition with no chiping.